3"H X .75"T X 48"
Add lavish detail to fireplaces, hoods, mantels, and other surfaces. The sophisticated grape and leaf carvings of the 48″ Tuscan Carved Moulding recall the refinement and warmth of Italian Wine Country. 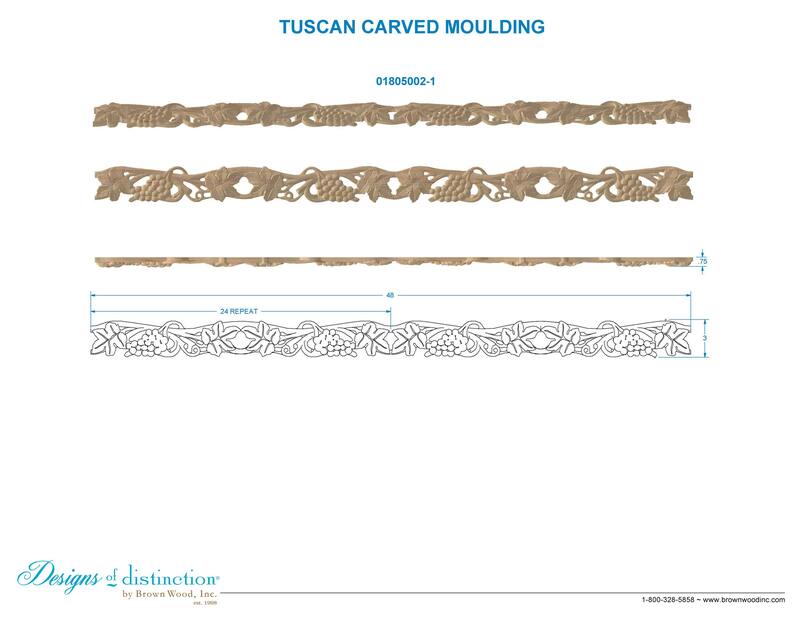 Available in Cherry and Hard Maple, the Tuscan Carved moulding will complement Italian Wine or Mediterranean décor. Shop more of this look in the Tuscan Collection.